All camps run from 12N-5pm Monday-Friday, with a 2pm show the following Saturday. Camps include daily 1-on-1 private lessons on guitar, bass, drums, keyboards, or vocals, plus fun group rehearsals to prepare for a final show at a local venue. Previous Rock Camps have performed songs from Black Sabbath, Radiohead, Beatles, White Stripes, Runaways, The Ramones, The Yeah Yeah Yeahs, Journey, Led Zeppelin, Cramps, Nirvana, and much more! 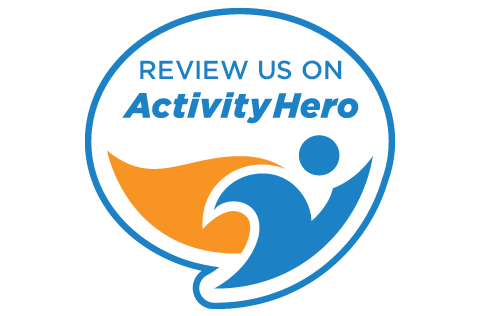 Our online rock camp registration is brought to us by ActivityHero. If you’ve previously had a great experience at our Rock Camps, give us an endorsement or a great review! ** We accept applications for Rock Camp tuition assistance! If you'd like to apply for tuition assistance, please do not sign up through ActivityHero -- rather, please get in touch with us! just have a BLAST playing music! $595 per Non-Member per week. $550 per Current Member per week. Early care will be offered each camp from 9am-12Noon for an additional charge of $225; there is no aftercare provided. There is no fee for transferring sessions from one week to another, if there is space available, but please try to do so with at least a month’s notice of the start date for the desired camp. Cancellations received by/on May 31st will receive a full refund, minus a $25 processing fee. On/after June 1st, cancellations made with 15 days or more notice receive 50% refund, minus $25 processing fee, OR the full amount paid for camp can be credited to regular season program tuition only in the form of a gift certificate that expires June 1st of the following year. Cancellations made with 14 or fewer days notice will not be eligible for a refund or credit. Camp fees are not refunded or prorated for camp days missed.